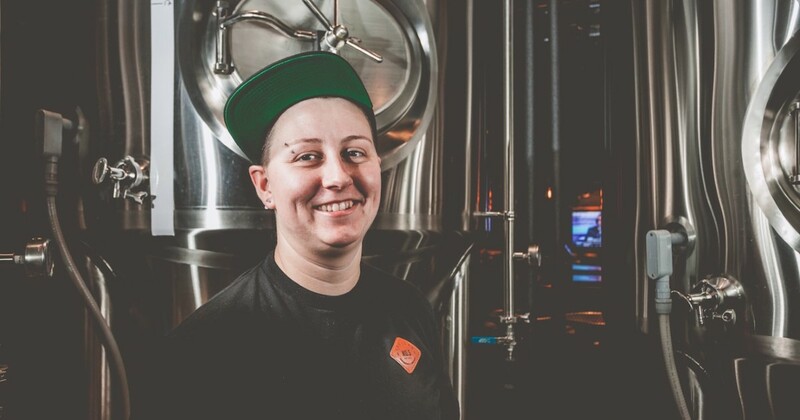 This week, the spotlight is on Erin Baker, Assistant Brewer at Trolley 5 in Calgary, Alberta. She answers our questions about the Alberta Craft Beer Industry, her job and more. This week here, at JustBeer (JB) I had the pleasure of sitting down and chatting with Erin Baker (EB), the assistant brewer at Trolley 5, here in Calgary, Alberta. 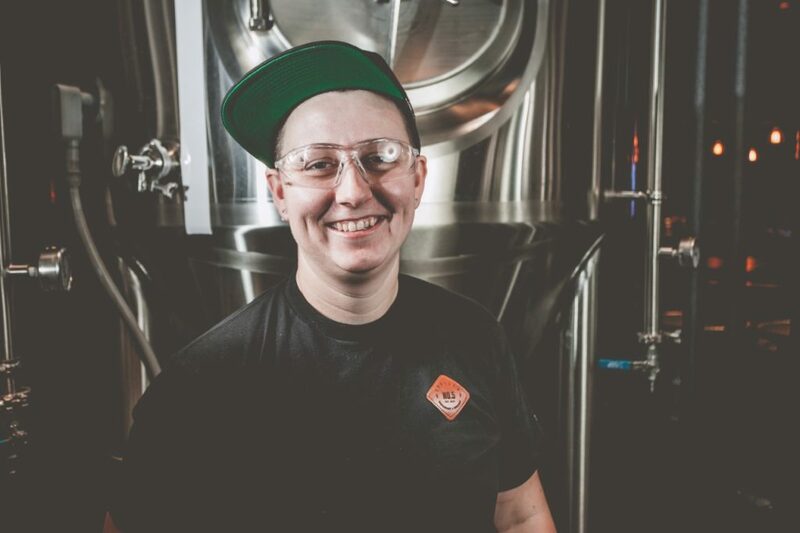 We go into the nitty gritty of her personal life, being an assistant brewer and women in the beer industry. JB: How long have you been making beer and what got you into it? JB: Besides your own beer, what are your favourite beers to drink? JB: What is your favourite beer style to make? Why? JB: What new brews are you working on? 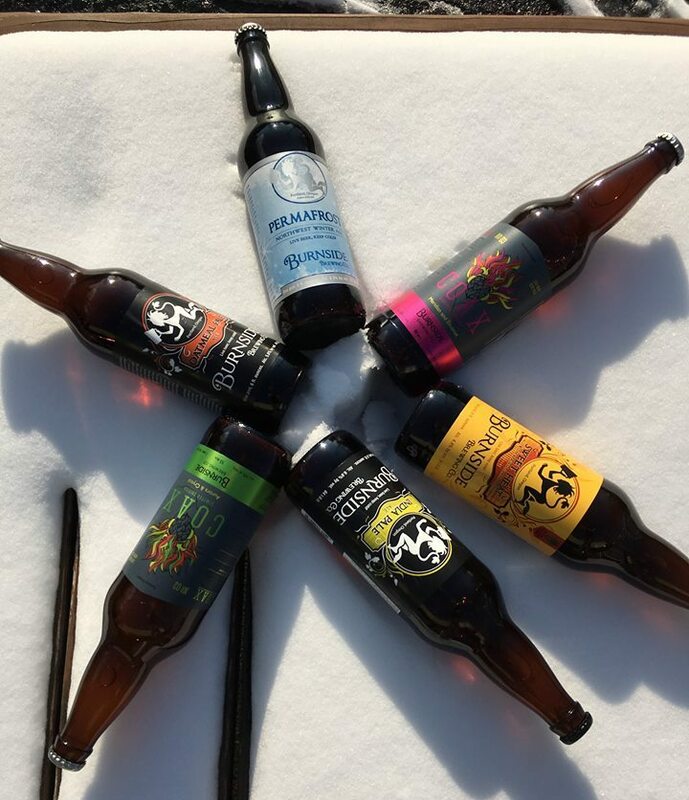 JB: If you could collaborate with another brewery, who would it be and why? JB: Who are some of your industry role models? Do you know a brewer who would like to be featured in our “Chatting with” series? JB: What beer creation of yours are you most proud of? JB: What quality control measures do you have in place before the product goes out? JB: Do you use online platforms for beer such as JustBeer, Untapped or Rate Beer? If so, what do you like about them? Dislike about them? JB: What advice would you give to new brewers? JB: If you were not brewing beer, what would you be doing? JB: What is your vision for the future of the Alberta Craft Beer Industry? Canadian Craft Beer Industry? JB: The Beer Industry has been known as a men’s club, have you experienced any issues as a female brewer? If so, how did you deal with it. If not, tell me about some positive experiences. JB: Do you see women playing a bigger role in the industry in the coming years? JB: Do you think there is a difference between the American and Canadian Craft Beer Industries as far as women’s participation in them? So glad we got to catch up with Erin, over at Trolley 5 Brewery and we thank her for taking the time to chat with us. Cheers! My beer brothers and sisters, did you know that in Alberta there was a time that it was illegal for men and women to sit and have drink together in a bar? Luckily, we have crossed that road. The next road we need to cross…getting more women into the industry. Any ideas? A lot has been happening in the Alberta craft beer scene lately. Let’s hear what Brewsters’ Brewmaster Robert Walsh has to say about it. The Olds College Brewmaster and Brewery Operations Management program is one of the country’s leading programs of its kind and students come from all over Canada to study here. We chatted with Zoei Thibault, a 2nd year student to hear her thoughts on the brewing world. In this interview you’ll learn that “every brewery in the word is haunted”, the most unique beer ingredient you’ve ever heard of, and more about Kent Paterson the head brewer at Banff Ave. Brewing Company. JustBeer recently had the pleasure of sitting down and chatting with the Northside Lead Brewer at KettleHouse Brewing Company. Here’s what Corey had to say about women in the beer industry, and more.